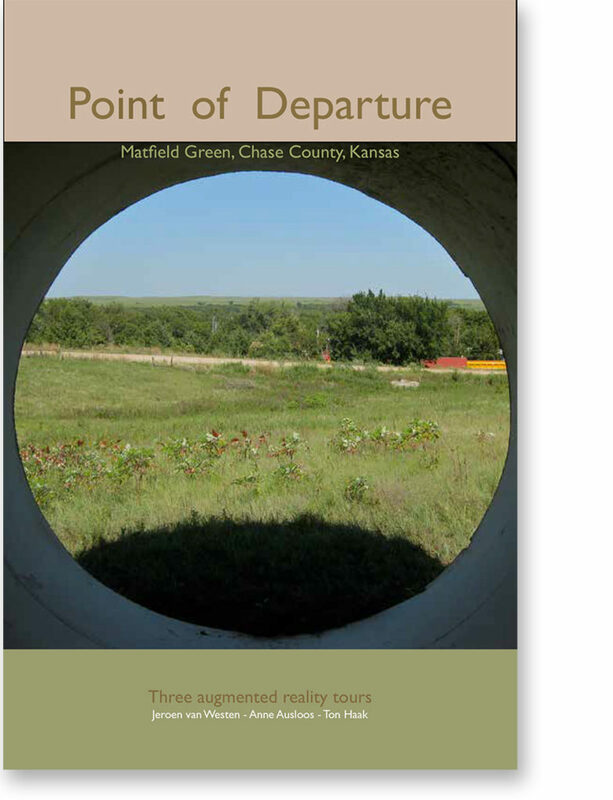 Point of Departure is the result of a research project. 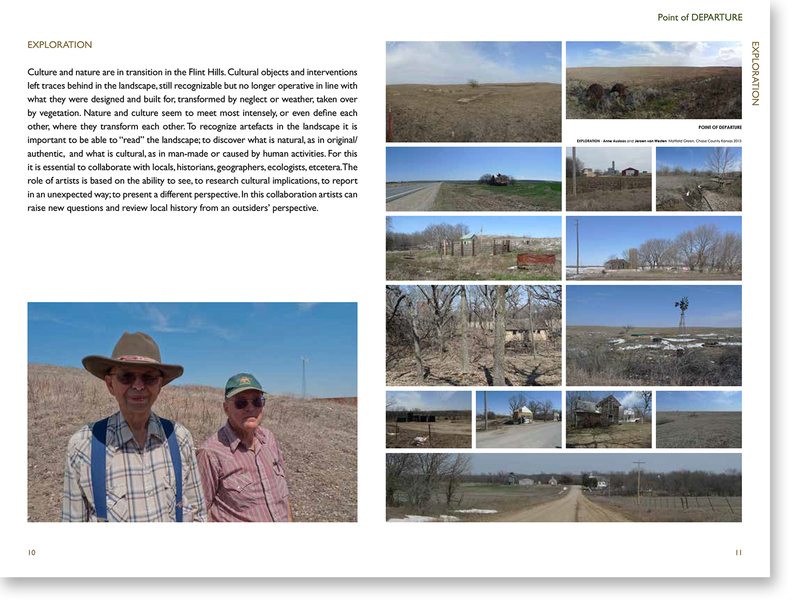 Two visual artists came to work several times in the Flint Hills: Anne Ausloos (Antwerp, Belgium) and Jeroen van Westen (Heeten, the Netherlands). They collaborated with writer and art promotor Ton Haak (originally Dutch; gallery manager and curator in Matfield Green, Kansas; now in Tomar, Portugal); they were supported by artists living in Kansas and in the Netherlands. 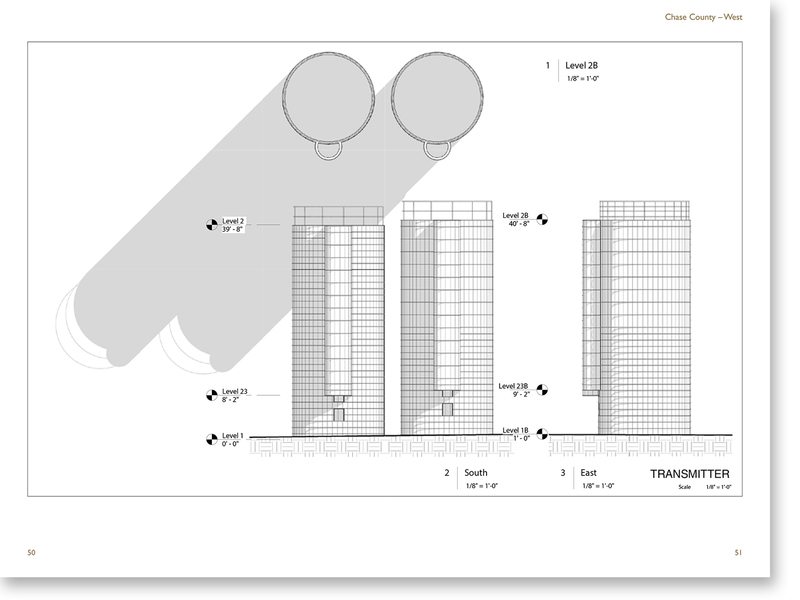 Please contact tonhaak43@gmail.com or jeroen@jeroenvanwesten.nl. 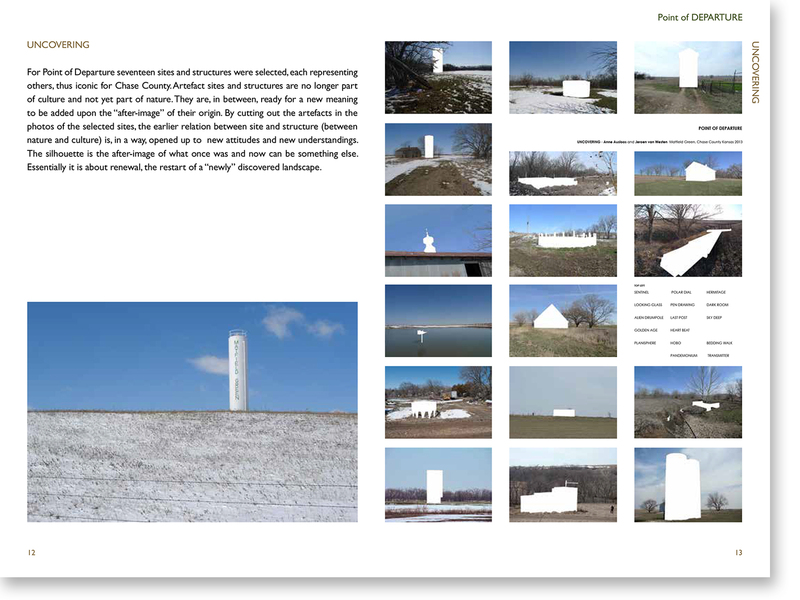 The artists “investigated” the Flint Hills. They looked for locations and existing situations that surprised or impressed them, and inspired them to review the artefacts of the white settlers and their descendants. 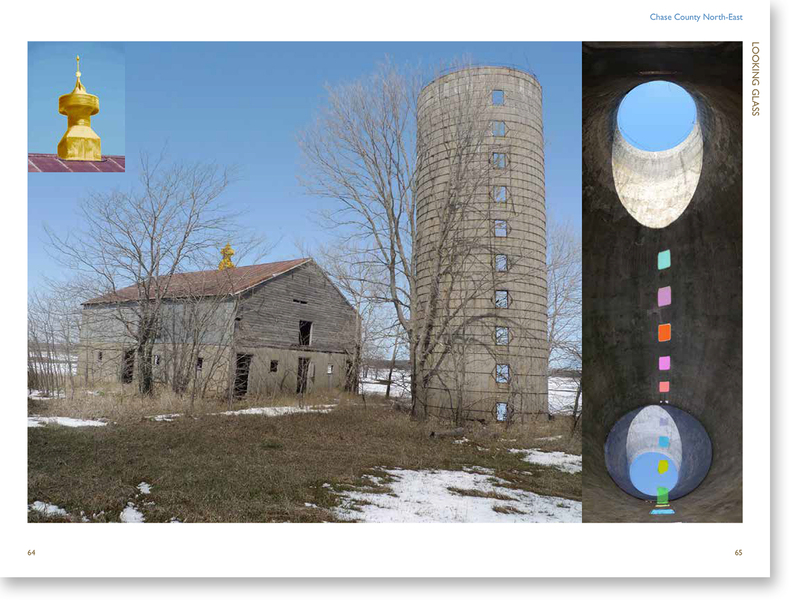 This guide presents the “collection” the artists assembled and can be seen as a guideline for three interesting augmented reality, “virtual” art tours in Chase County. But anyone driving or walking in the Flint Hills can detect similar amazing spots and views, and create his or her own dreams of meaningful accentuation and further beautification to augment their own reality. 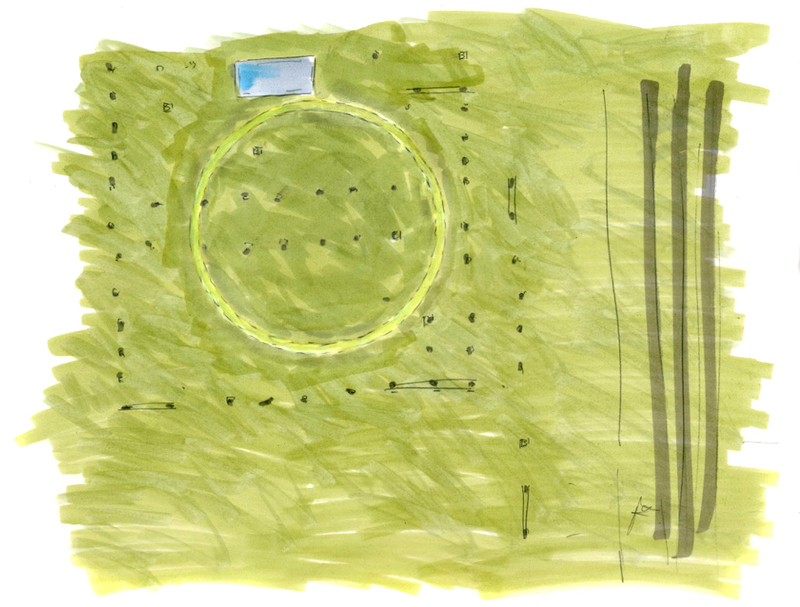 The actual point of departure of all tours is Matfield Green. Founded in the 1860s by English, Irish, German, Austrian and Swiss settlers dreaming of a comfortable community to back up their farms and cattle ranches. At one time the town had a hotel, restaurants, a post office, schools, a hardware store, a lumberyard, banks, a blacksmith, and more. The dream slowly died when the railroad preferred different main stops. Cowboys on horseback drove herds through town until cattle trucks took over and the cattle were loaded at corrals out on the range. The town lost importance, lost stores, lost population. 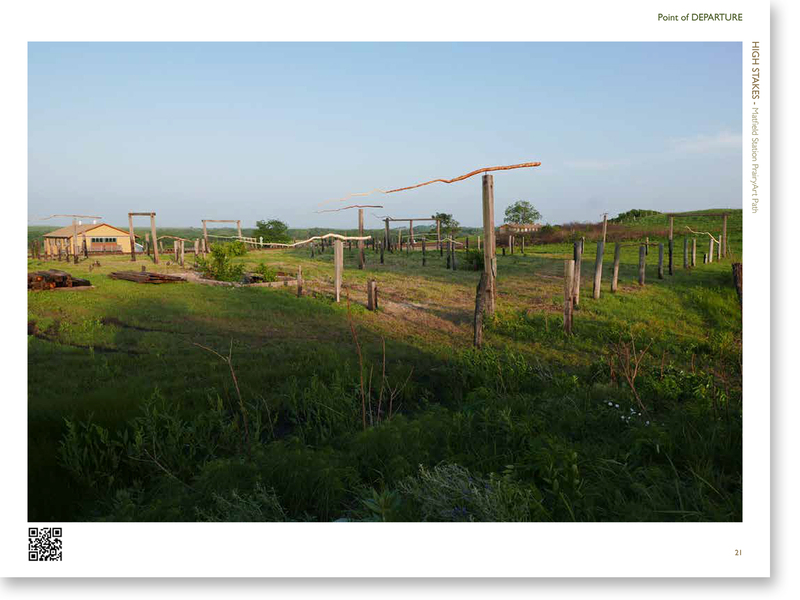 A revival first came in the 1990s when Matfield Green became a satellite of The Land Institute, based in Salina, Kansas and experimenting with alternative forms of (sustainable) agriculture and local community development. Many scientists, students, artists and writers came to Matfield Green to support the research. Later, after 2006, visual artists came to live in town, which resulted in the opening of contemporary art galleries, invitations to artists in residence from the US and several European countries, and new dreams, such as the Matfield Station PrairyArt Path. 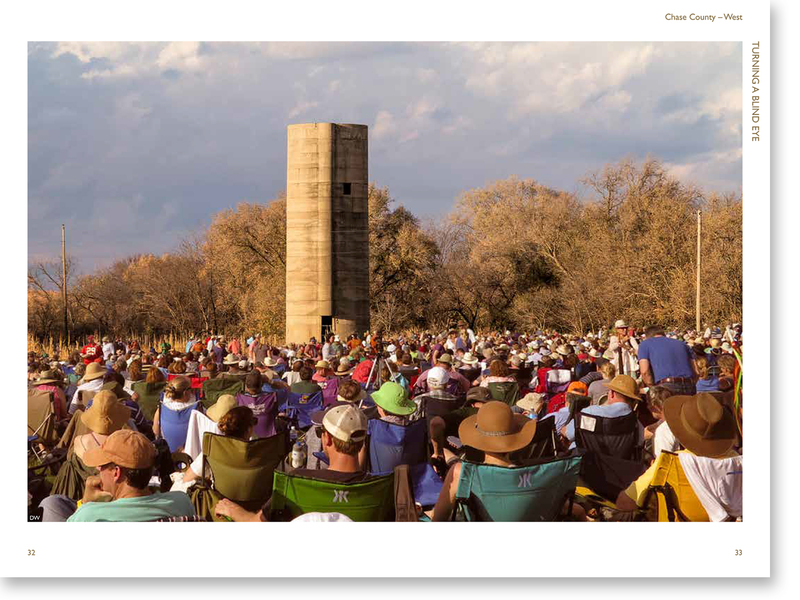 Just north of Matfield Green and between de Santa Fe tracks and Kansas-177, and also west of the tracks at the former cattle pens, several sculptures and installations can be found. They are created by Mike Miller (‘Auger’), Bill McBride and Jeroen van Westen (‘High Stakes’), Anne Ausloos and Jeroen van Westen with BillMcBride (‘Sky Deep’), Bill McBride (solo, several pieces) and other sculptors, installation artists and conceptual artists; their art relates to the land and/or its history, but the prairie itself is one of the prime “performers”—its ecology and sustainability are carefully preserved. 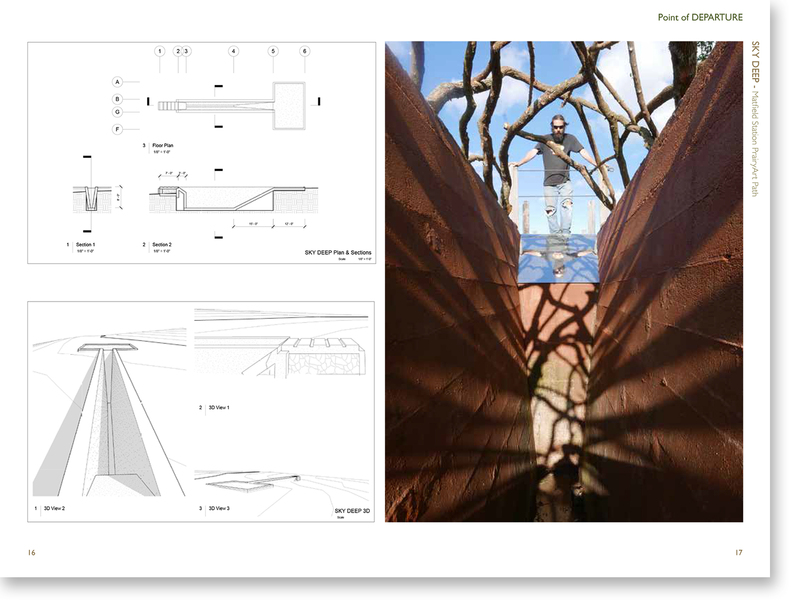 The prairie and art path, which crosses Pepper Creek on a newly constructed, traditional stone bridge and passes below Matfield Station, the former railroad crew’s section house now a home to visiting artists, will be in continuous change and development. Some artworks will be permanent, other pieces may disappear because nature takes over; from time to time new art will be added. 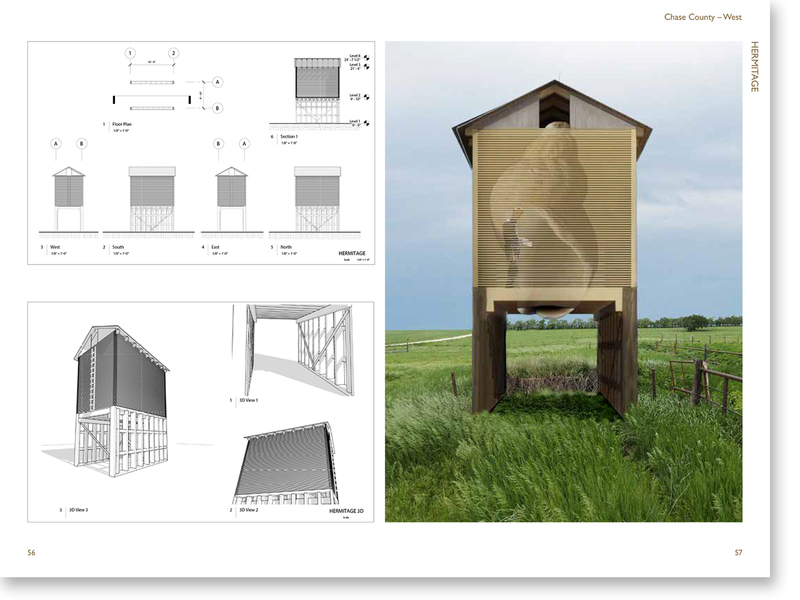 A fascinating meeting of contemporary art with original grasslands — art firmly rooted in the spectacular prairie environment and its history as a Point of Departure for a new future for Matfield Green.